Bike theft is a common occurrence in American society with an average of 1.5 million bicycles stolen per year, amounting to over $350 million in lost property. Many thefts are not reported, while those that are have less than a 5% recovery rate. What can you do? Lock your bike properly and keep it inside, of course. But before the unthinkable happens, make sure you have a way to reference your bicycle's serial number. 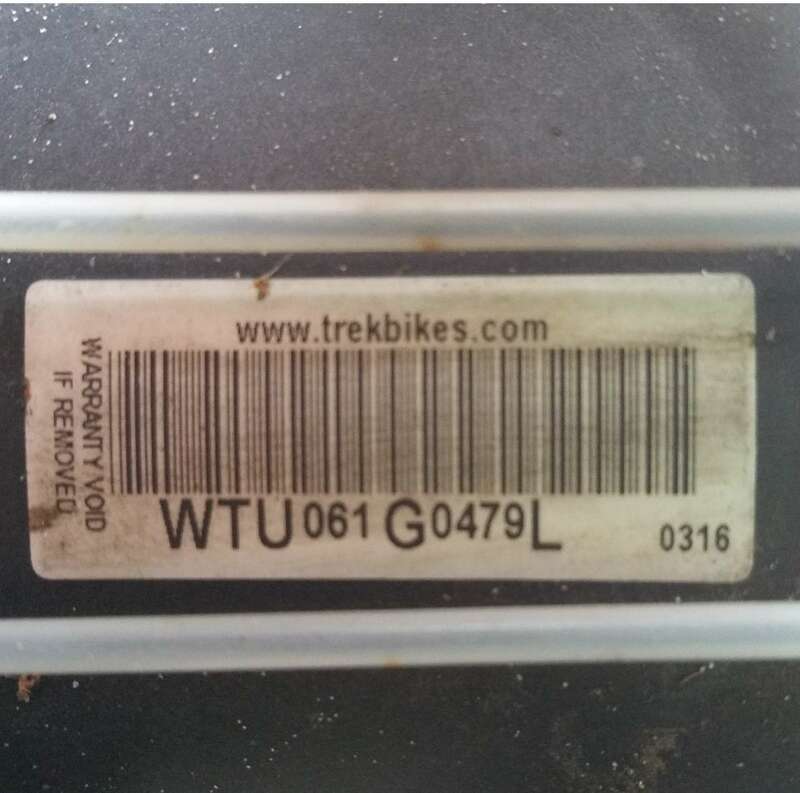 The bicycle's serial number is commonly referenced by law enforcement and by pawn shops and is often to only way to prove ownership of a bike. Outlined here is a method to find your bicycle’s serial number and register it (for free) using an available online database. Every factory-built bike will have a serial number, usually to identify the model and date of production. The serial number can be in different places depending on the manufacturer. 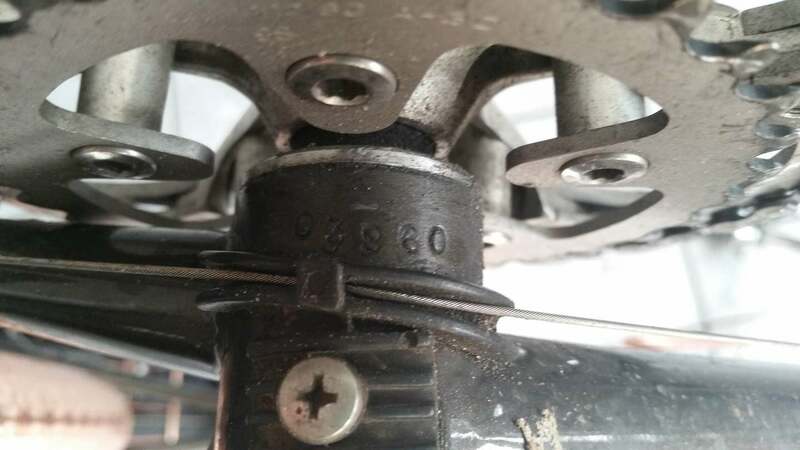 Most typically, the serial number is printed or engraved on the underside of the bottom bracket shell, where the cranks and frame meet. Other common places include the outer/inner face of the non-drive side chainstay (the frame tube closest to the chain), or under the head badge. If you’re still having trouble locating your bike’s serial number, reference the manufacturer's website for helpful tips. Not just for the 'gram. Pictures of you with the bike will prove ownership. Pictures of the bicycle’s drive-side (the side where the chain is) will allow experts to identify unique components. Any unique or non-stock additions: how does your bike stand out? Another tip -- roll up a physical photograph of you and the bike together and tuck it into the end of the handlebar or seatpost, preferably with contact information. Formerly NationalBikeRegistry.com, Project529.com is a free online database which will store the serial numbers for all of your bikes. They offer lifetime registration with only a name and email address. After creating an account, input all the previous data into these web forms. Congratulations! Your serial number and important information are saved! Now if your bike is stolen, you have a far better chance of recovering it. Seek out your local law enforcement's website and do a quick search for bicycle registration. Many larger police departments (and even some smaller ones) will have a form to register the serial number and other important information about the bike. Both the Tampa Police Department and Hillsborough County Sheriff's Office had these online forms available on their sites.